Inbound Marketing is all about placing the right content in the right place at the right time to the right people. Utilizing this thorough method makes your marketing budget increase reach as well as boosts return on investment multifold. However, you might be thinking how does one actually execute the Inbound Methodology? What is the logical approach to Inbound Marketing? Keep reading to find out! If you haven't, check out the first two blogs in [The Inbound Method] series. The two combind provide for an in depth run through of Inbound Marketing and the Buyer's Journey, which will be referenced in this blog repeately. Consider the examples in our What is an Inbound Marketing Strategy? [The Inbound Method] blog from before. For a potential customer of a PR company. The fashion designer knows they need to expand their audience and is considering professional options in the form of hiring a PR company. They are unsure if they should outsource the work, so they begin to read a variety of materials on how to improve a fashion designers press coverage. The fashion designer decides hiring a PR company is the right next step after reading blogs and talking to fellow professionals. They seek out materials, noting how a strong PR company operates and how to choose the right one. The fashion designer begins comparing different PR companies by compiling a list based on recommendations and catchy websites. Sees a friend talking about the personal stylist on Social Media. Decides to follow the personal stylist on Social Media or opts to be added to an email list to see what this is all about. The new follower is blown away by the personality and elegant pieces from the personal stylist and decides to purchase an exlusive item for themself. Now remember, the purpose here is to make specific pieces of content for buyers along their journey. Ultimately, you can contine to draw in potential customers throughout their journey by answering their questions at each stage. You are busy running a business and realize implementing Inbound Marketing takes time. And if you're like most businesses, time is a commodity in short supply, but that's ok and shouldn't discourage you from implementing the Inbound strategy. At 12South Marketing, we work with busy businesses every day that are doing incredible Inbound work, and these companies and individuals are budgeted for time just like you or I. Using a worksheet is a great way to catalog any existing content and then mold it to fit into an Inbound Marketing strategy. Download the Hubspot Content Audit Worksheet here! What could potential Inbound content be? 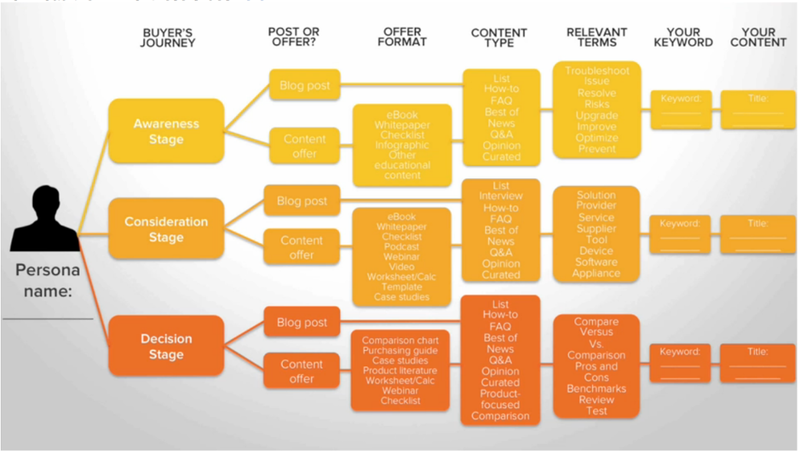 This is important: Most pieces of content are potential pieces of Inbound content! The moral of the story is it's all about how you fram and deliver that content. More so, by setting up your content by Buyer's Journey stages, it can help to highlight the strengths and weaknesses of your current online sales funnel. For example, consider a PR company that solely has call-to-actions related to working with the company. This situation creates a few different problems. First, this could alienate people that don't know enough about the PR company to feel comfortable or ready to request a quote. Second, this approach could waste the PR company's time by giving people that wouldn't fit well working with tge company easy access to request an appointment. Additionally, it may also reveal weaknesses in content strategy. Here, you might find you actaully do not have enough content for the consideration stage, which could provide for an explanation for why the conversion rate is low even though visit numbers are high. Create buyer personas to shape your content around. Buyer Personas are semi-fictional representations of your current and ideal customers. This will help you identify the types of clients you do and do not want to work with. The goal is to get inside the heads of consumers. What does their day-to-day life involve? How much money do they make? Where do their pain points exist? How do they make their living? Can you help them make more money? Backtrack, is making more money even their goal? What do their responsibilities look like? Are they in the right position of authority to make a purchasing decision? Once you determine and define Buyer Personas for your company, you can mold your content strategy to focus in and answer these questions to help guide consuemrs through your business's sales funnel. "Everything in your inbound marketing strategy should relate back to your personas." 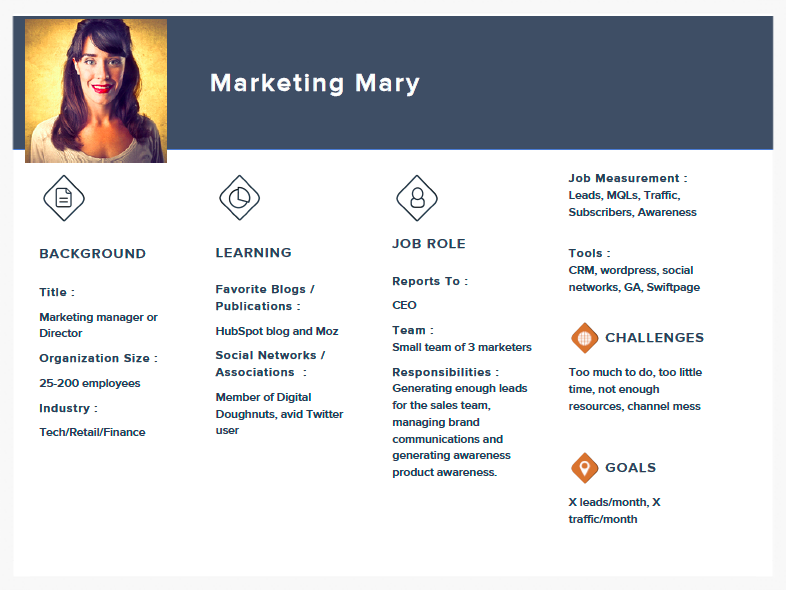 Luckily, Hubspot offers a fantastic free persona creation tool on makemypersona.com. It allows you change or add questions to better match your company so this tool provides for a great starting point. 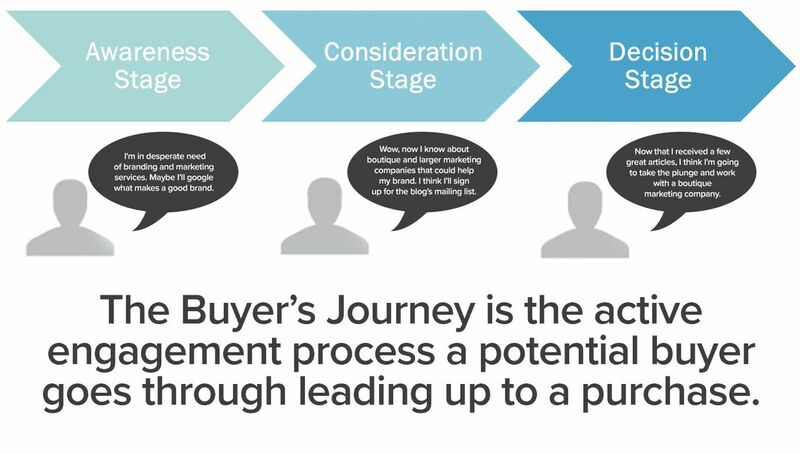 How do Buyer Personas fit into the Buyer's Journey and overall content strategy? 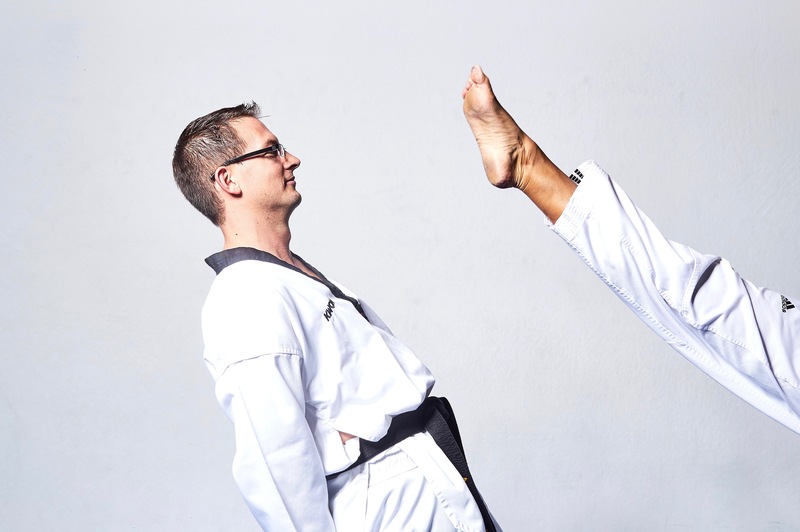 Ultimately, everything in your inbound marketing strategy should relate back to your personas. So, outlining your content strategy in this step-by-step method will open up your organization to take on new success! The Inbound methodology is all about creating the right content, so if you are already devoting time to content creation (social media, blogs, newsletters, educational materials, etc. ), you are already on the track to creating Inbound content. With this, the transition to Inbound is a matter of shaping the content to fit into the content map via your Buyer Personas. To get started, the content audit worksheet mentioned above offers a great way to figure out options for your company. The beauty of Inbound Marketing is its ability to bring in a consistent stream of visitors, leads, and customers over a longer period of time. The Inbound Method is sustainable and reacts positively to the more effort you put into it. So... time to get moving! 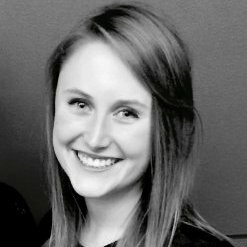 Kimberly is a Channel Account Manager at 12South Marketing. With a music performance degree and MBA in reach, she has a creatively savvy set of business skills that can’t be beat.